British Waterways cares for 2,200 miles of the country’s canals and rivers. Rich in heritage, abundant in wildlife and alive with culture, inland waterways are as popular today as they have ever been. Half the population lives within five miles of one of its canals and rivers and an incredible 13 million people use them every year as part of their everyday life – as a short cut to work, walking the dog or simply taking time-out and watching the boats. APC was asked to increase Internet connectivity and replace existing leased lines to British Waterways rural sites of Sawley Marina and Swarkestone Lock. Due to the location of the sites, connectivity would prove a challenge. 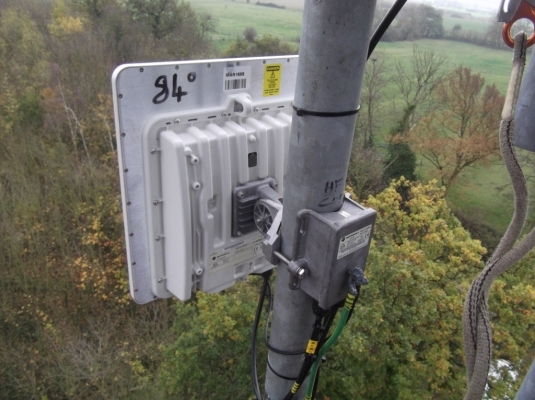 A desktop study identified a solution that incorporated two Arqiva masts to overcome the terrain between the British Waterways sites. The solution would link both Swarkestone Lock and Sawley Marina back to the regional office at Newark. APC’s final design included a daisy chain of Motorola PTP links that would link from Newark to Sawley Marina via an Arqiva mast site just outside Nottingham. With Swarkestone Lock linking to Sawley Marina via another Arqiva structure just outside Derby. APC undertook surveys and tested the proposal. The survey returned positive results and links were achieved using the Motorola PTP58500 lite survey link. During the survey, it was highlighted that Sawley Marina could not offer the required mounting height to overcome the local foliage. 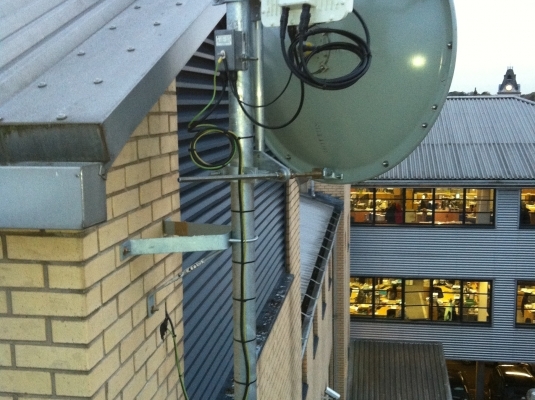 Due to such a long link between Newark and the Arqiva mast hop site, it was decided that a connectorised Motorola PTP link would be deployed. This link would allow for an increased antenna size and in return, enhance the link quality and deliver the required data throughput and availability. The team installed a small mono pole structure at Sawley Marina to allow the required mounting height to be achieved. During a project meeting with Alan Hill, Telecommunnications Manager, it was agreed that a 10m telegraph pole would provide the required height for the link to work and be in keeping with the picturesque surroundings. British Waterways submitted a Planning Application for the telegraph pole in advance of the planned deployment works. British Waterways finally received planning approval on 14th October 2011. After a final site meeting to confirm the location and to run through the installation of the agreed structure, the telegraph pole was installed on the 22nd October 2011. APC installed 4 x Motorola PTP Links operating in the 5.8GHz lightly licensed frequency. The survey had shown a clear spectrum at each site with minimal RF noise, and with only two links being installed at any one site, this would not cause any issues to the spectrum. This was helped by the proposed solutions operating with 15MHz channels and with the i-DFS minimising any self interference. The project delivered in excess of 20Mbs between Sawley Marina and Swarkestone Lock and in excess of 40Mbs from Sawley Marina to Newark. This provided British Waterways with more throughput than their orignal fixed leased line service and very low latency times of up to 3 milliseconds per link.